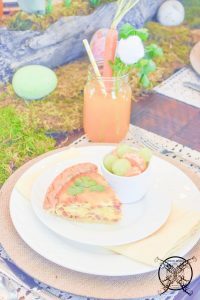 Today I want share with you 3 different types of Quiches, perfect for your Sunday Brunch or for a quick breakfast any day of the week. 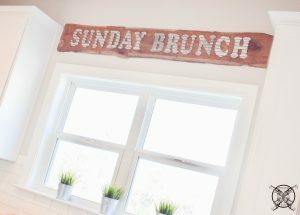 As you can tell we are big fans of Sunday Brunch, we even created a Rustic Barn Wood Sunday Brunch Sign over a window in our kitchen in honor of the feast. If you like it, you can find out more about how we created it at at the link above. This recipe is my secret go to, for an easy breakfast in a flash. I promise, we do this regularly around here in the Gainer household. I usually make a batch of 4-6 of these at a time and freeze them. Then thaw one a week for a fast, microwaveable, hot breakfast during the week. 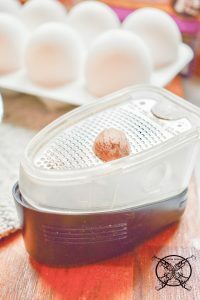 They are also the perfect, make ahead breakfast for a festive brunch when entertaining guests too. 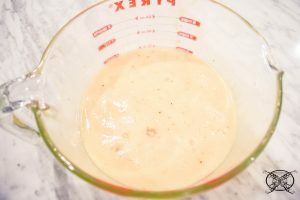 I know this may seem like a backwards way to start this post, but I really want to drive home the idea of pre making in large batches, and freezing as a time saver. Since we did the Cascarones Smash Eggs (DIY link) we had a lot of eggs leftover. It only makes sense to use these for our Easter brunch as well. 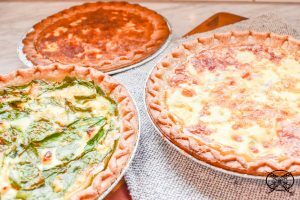 When making any quiche, the basic recipe for the eggs portion for all 3 quiches starts out the same way. Eggs, salt and pepper whisked together with some half & half. Mix together until you basically get scrambled eggs, lol. 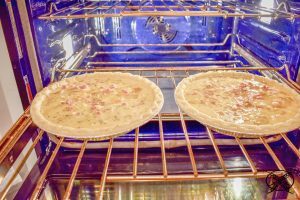 The first recipe is one of my favorites, Quiche Lorraine. This is considered a staple in the world of Quiches. I think that is because everyone likes it, since it is basically ham & cheese. No weird out there ingredients that some of your guest could object too. My personal secrete ingredient for this recipe is fresh grated nutmeg. I find that using fresh grated nutmeg really enhances the flavor of the Gruyere. 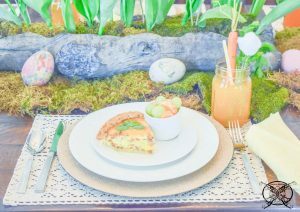 Which is what gives this quiche it’s signature flavor. 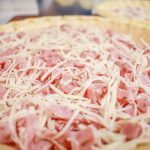 In pie shell combine ham, cheese and herbs de province. Toss together lightly to coat ham. In a mixing bowl add eggs with salt, pepper,nutmeg. and Half & Half. Whisk gently for 1-2 minutes, until the mixture is a solid light yellow color. Pour eggs over ham mixture in pie shell. Bake for 45-50 mins at 400 degrees. Allow to cool for 10-15 mins prior to cutting. 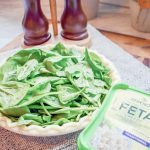 The next quiche is a mediterranean version, filled with a delicious Florentine filling of spinach, mushrooms and feta cheese. This would be a perfect option for any of your guests that might be a vegetarian or those sticking to a kosher diet for the season. In a skillet lightly sauté Spinach, olive oil and Mushrooms over low heat until spinach is wilted. Allow to cool. 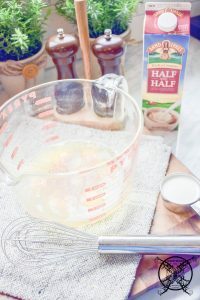 In a mixing bowl add eggs with salt, pepper, red pepper flakes and Half & Half. Whisk gently for 1-2 minutes, until the mixture is a solid light yellow color. 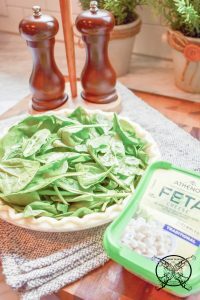 Put the cooled spinach and mushroom into pie shell and top with Parmesan and Feta Cheese. Pour egg mixture over the top. Bake at 400 degrees for 45- 50 minutes. Allow to cool 10 -15 minutes before cutting. The final quiche recipe I am serve up for you today is a Cheddar Applewood Bacon & Leek quiche. This one kind of reminds me of a breakfast version of a bacon cheese burger. My husband loves this one simply because of the Applewood smoked bacon. If you have the time and plan ahead, I do highly recommend smoking this bacon on The Big Green Egg. It just adds a great smokey flavor to the bacon and gives you another layer of flavor depth. Pre cook bacon in skillet , remover and allow to cool on paper towel to drain away grease. Chop leek (white and green parts) into small mixed pieces and sauté in the warm bacon grease for 6-7 mins. Remove for heat an allow to cool. 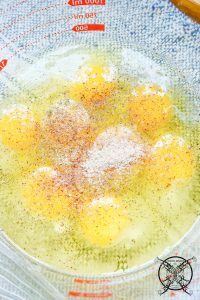 In a mixing bowl add eggs with salt, pepper, nutmeg, dijon mustard and Half & Half. Whisk gently for 1-2 minutes, until the mixture is a solid light yellow color. Crumble bacon into chunks in pie shell and toss with Gruyere cheese only and leeks. Pour egg mixture of the the top. Bake for 35 minutes at 400 degrees. Remove from oven and add the Cheddar Cheese to the top for the last 10 minutes of cooking, to avoid burning. 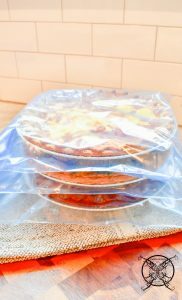 Allow to cool for 10 -15 minutes prior to cutting. All of these take approximately 45-50 minutes to bake in the oven if you decide to make them fresh the day of your event. Just make sure to let them cool for 10- 15 minutes prior to slicing to get those picture perfect slices. 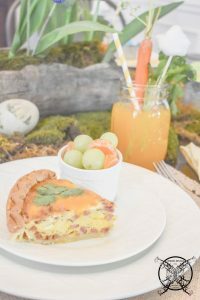 I can not begin to tell you how easy all of these recipes are to make, since you can pre make them you won’t have to spend your morning in the kitchen slaving away to create your holiday brunch. 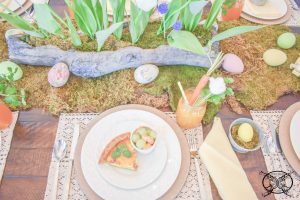 As you can see, they make a pretty plate for my Easter Table (you can check all the details for my table here). 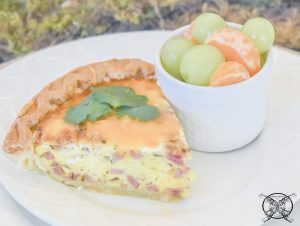 I like to pair these quiches with a fresh fruit salad and chocolate croissants which I pick up at my local Trade Joe’s. This year I have concocted a fun Easter version of a Bloody Mary, made with carrot juice called a Fuzzy Bunny . These cute little cocktails are absolutely divine and a perfect complement to this meal. Ummm this looks like a tasty way to start off the holidays. I like the idea of premaking breakfast so you just heat it up. Hiya, Thank you for the excellent dessert recipe, It is nice to find easy to follow like this one on food websites. I enjoy making scones and chutneys for my father in the cold winter months and ice cream in hot summer days. I like your web site, it has unique content, Thank you! Thank you for stopping by Apryl! I love to cook too and I wish I had more time to actually do a little more of it, LOL. 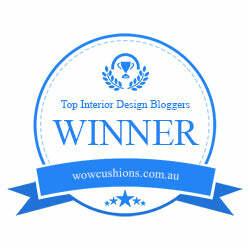 I like your blog design and your beautiful images. I am a cook and enjoy making cakes on the weekend when time allows me to cook. Tomi I am so glad that you are enjoying my site and that you found this post. 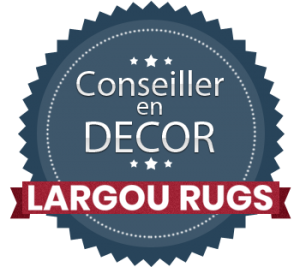 It is really great for all types of holidays and occasions and especially for a busy mom on the go! Thank you so much for the great sweet comment and stopping by. I love your site design and your food content. I am a busy Mom and enjoy making cakes on the weekend when time allows me to cook and bake. Quiche is my fav! 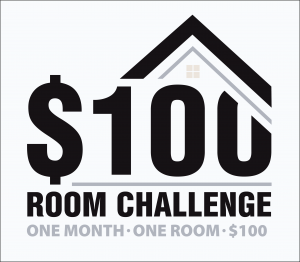 Great for a group. I will give these recipes a try! I love quiche!! And I was just on my search for a new recipe to try as I put it on my Easter menu 🙂 So the Florentine quiche gets my points! Excited to try it!! Just made a quiche this weekend. This recipe looks great! Nicole I am so glad you enjoyed this post. Heck everyone should be able to enjoy quiche whenever they want whether it’s a busy week day or lazy weekend. The Florentine one looks great! I might try it this weekend, thanks! I love anything I can make ahead and freeze! 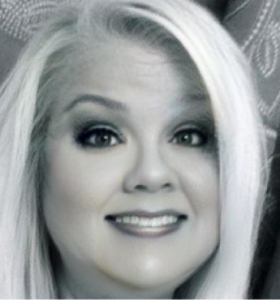 I’m with your husband… anything with applewood smoked bacon and I’m there! Can’t wait to try it! I have never made Quiche but I want to try all of your recipes. I love how you suggested what other foods to pair it with. Not to mention the cocktails and bunnies are to die for. I can tell you put a lot of thought into your designs. Your friends and family must have an awesome time at your get-togethers. 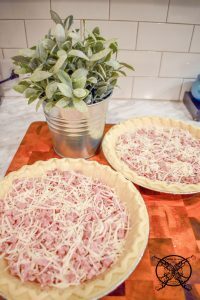 I’m a big quiche fan, but I never make them because they just seem to take so much planning – I NEVER thought to make the ahead. This is brilliant! I even have some single serving pie plates that would make just the perfect size to grab out of the freezer to take for lunch! 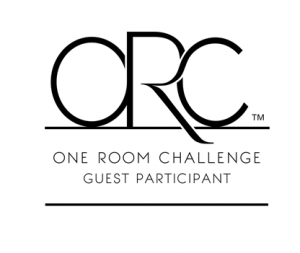 Also completely intriqued by the Fuzzy Bunny – heading over to check that out next. This looks so delicious! Nothing beats a good quiche on a Sunday morning/afternoon. Now I feel like having a brunch party! i love quiche but my fav for sure is the florentine one! now u got me craving big time! 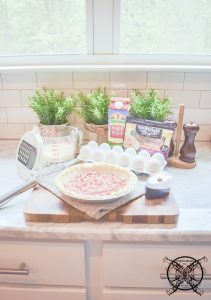 I never really knew you could make different types of quiches. I’ve always just seen the same basic quiche. I will have to try these recipes out. Thank you. 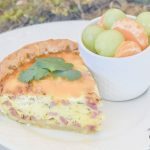 Great idea to use these quiches as a fast breakfast! I’ve never thought to freeze a quiche before. 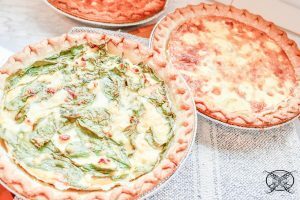 Definitely going to try the quiche florentine – it looks delicious! Yum I love quiche at resturants but had no idea how to make my own. Even better I can freeze them to later.